To say that Alta Vista stands by its work on the new Bay Bridge is an extreme understatement. We are incredibly proud of the work we performed and with the final product that stands majestically on the San Francisco Bay now safely carrying over a quarter million cars a day across one of the busiest and most seismically active areas in the world. Although we did not design or construct the bridge, we were a big part of solving some of the most difficult challenges that a project of its immense size and complexity would naturally face. Alta Vista has been responsible for quality assurance on the new bridge since December 6, 2008 and during that time, the materials we have released have met expectations. In other areas, we helped Caltrans by identifying issues with grouting, anchor bolts, water infiltration and documentation. Alta Vista helped provide solutions to existing issues using mathematical corrosion models and testing protocols that help determine the root causes of problems. We also made sealing and dehumidification recommendations to make the structure more durable. 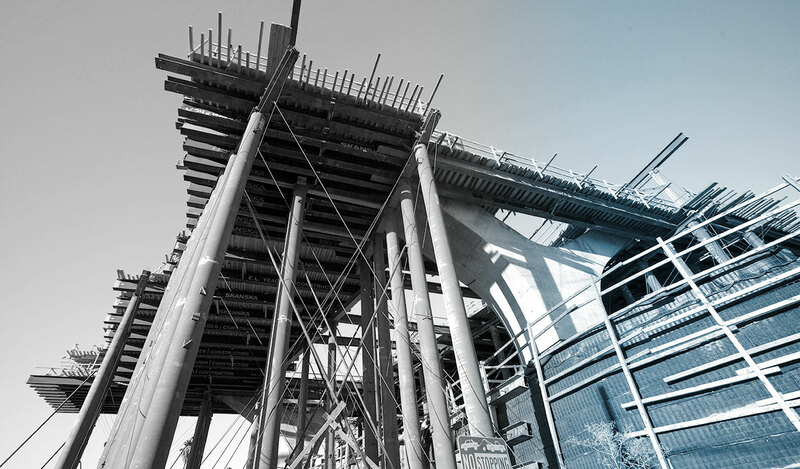 Alta Vista specializes in Structural Health Monitoring. We provided innovative monitoring solutions for several elements on the new bridge. While Alta Vista worked directly with some of the world’s foremost engineers and construction and fabrication experts, ensuring that this bridge is safe, the media has run unbalanced stories that have negatively affected public perception on the project. Bay Area motorists, Californians, Americans and people from any nation should feel as safe going across the new Bay Bridge as they are impressed with its world-class beauty.